We need lots of help during the weekend to have a successful RYLA program. Share the excitement with over 170 high school sophomores you have chosen as they learn, share and grow! Come for a few hours or the whole weekend! 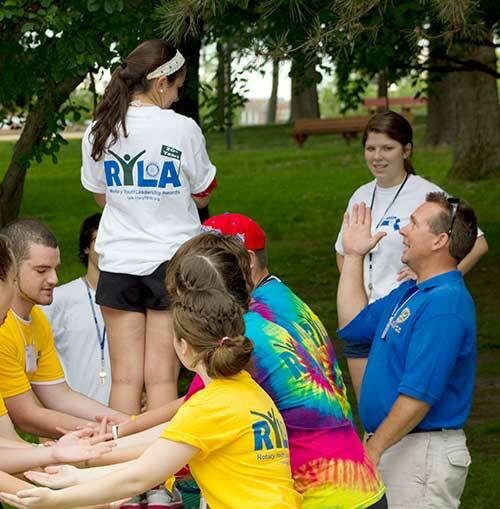 Each year, we need students who have completed the RYLA program in prior years to serve as Group Facilitators (GFs) and Program Facilitators (PFs). In addition to being present for the entire RYLA weekend, GF and PF candidates must also attend scheduled preparatory meetings in the months leading up to RYLA. 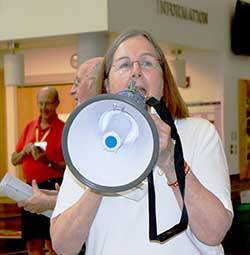 Group Facilitators apply by January 1 and are chosen in February. Program Facilitators apply by December 1 and are chosen in December. All GFs and PFs must register online and complete the "Addendum" paperwork. It’s amazing to watch these students grow in leaps and bounds over this short weekend! I come every year to see them problem solve and communicate. This program was one of the reasons I became a teacher. I’ve been a part of it since I was a sophomore in high school and now I teach them! It’s thrilling to see these young students become confident leaders. I see myself in many of them. Rotary International strives to create and maintain a safe environment for all youth who participate in Rotary activities. To the best of their ability, Rotarians, Rotarians’ spouses and partners, and other volunteers must safeguard the children and young people they come into contact with and protect them from physical, sexual, and emotional abuse.